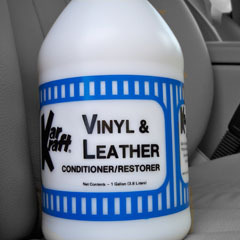 This state of the art silicone emulsion product penetrates, preserves, protects and restores all vinyl, rubber and leather surfaces. Quick-dry, self-leveling formula requires no buffing. Satin Finish.